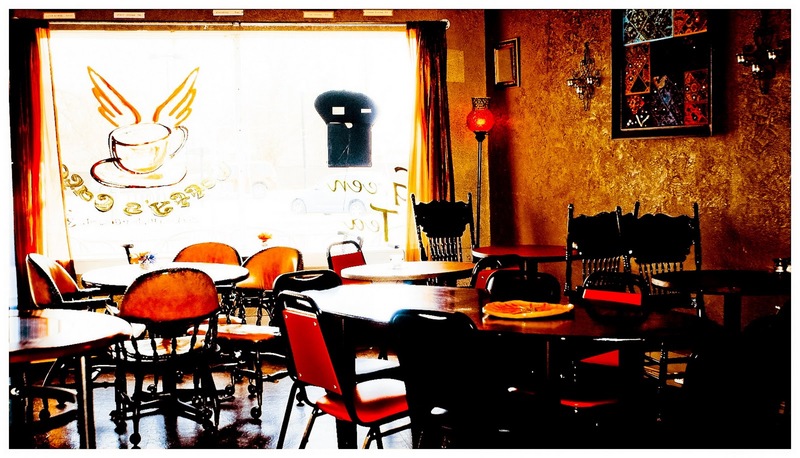 TravelOkcity is my weekly travel column in Oklahoma City's The Tribune. Read about my recent travel tale in the Saturday paper. Below is the introductory/debut story. Buffalos roaming in the wild by Cherie M. Del Rio. There is a big Filipino diaspora in the United States. Philippine immigrants are usually found nesting in big cities in the east coast or west coast, particularly in California. Most of these people are used to the glitter of L.A. or the Big Apple. The idea of Oklahoma is as foreign to them as say, Granada, but sadly, not as interesting. Guthrie is like a backdrop for a scene from the Wild West (Photo by Cherie M. Del Rio). So in a way, this column answers the almost insulting inquiry, because that kind of question cannot be answered in a sentence or two, not even a full feature can. To know what Oklahoma has to offer aside from the cattle and the fickle weather requires a lifetime. And I hope that we have that so we can go explore your beloved state every Saturday. 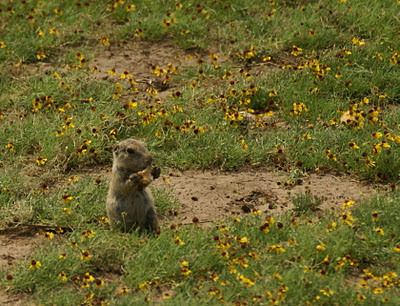 A prairie dog on a yellow field by Gerard Azel Villanueva. Your tour guide won’t be an old local who has the veins at the back of his hands for his map. Rather, the guide will be yours truly, a relative stranger to the place who will take everything in and tell you all about it with childlike awe. 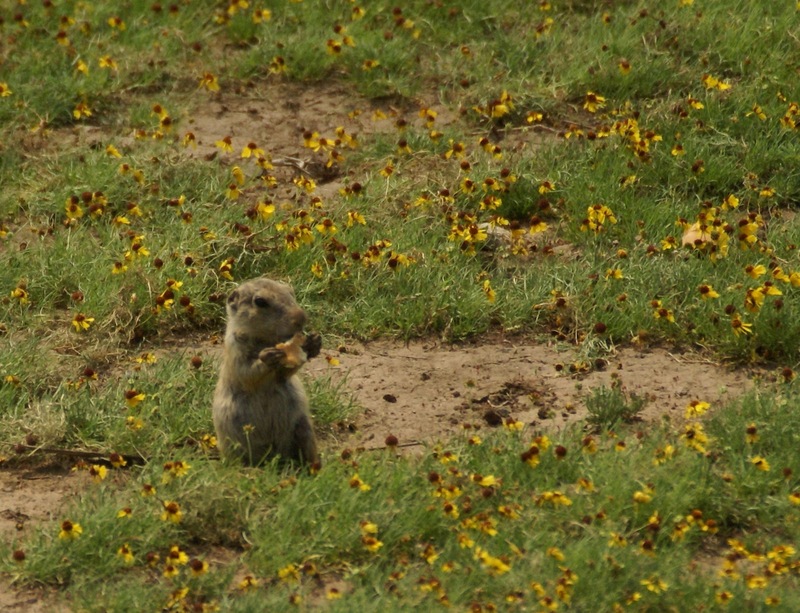 For instance, I consider seeing prairie dogs sitting on a yellow field, while wandering through the Buffalo Wildlife Refuge, an experience akin to a unicorn sighting. Then there’s the monthly art walks in the city which is probably common in every state; I look forward to these exhibits because they allow me to view art not in a spot-lighted glass case but up close and personal enough to shake its hand. Walking the streets of Guthrie by Cherie M. Del Rio. While some outsiders see ghosts and tumbleweed haunt the streets of Guthrie. I see the vibrant town as it used to be. Towns like Guthrie or Medicine Park take me back in time, teaching me things that no journey to any continent can impart. I mourn the closing of the neighboring cafe like the departure of an old friend. A visit to the OKC National Memorial and Museum is not only a lesson in history for me, but also a revelation of the kind of people that I now live with, a people of pride, compassion, resilience, and courage. Guthrie, the first capital of Oklahoma by Cherie M. Del Rio. I believe that sometimes it takes a stranger to reveal your home to you. Often, we fail to visit the museum next door or the park around the corner, because we know it will be there when the time comes. Then a visitor comes to town, and suddenly we become tourists in our place. You shall be missed (Photo by Cherie M. Del Rio). Let me be your stranger. Let me be your guest. Allow me to introduce myself briefly to you that I may not be too much of a stranger any longer. I am a freelance editor and a widely published feature writer and fictionist from the Philippines. I was the editor in chief of a travel magazine distributed in Asia and some parts of the United States (east coast and west coast, of course). My wanderlust has led me to my favorite tour guide. Point any area in the world map, and he can tell you the exact place and a little trivia about the spot. After being stationed in three different continents, he returned to his birthplace to start our little family of three. And home is where the heart is - Oklahoma City. Let me show you what I've seen out there so far. Although we had planted our roots in the Midwest, we continue to branch out. Restless feet have to keep moving after all. As we explore new places, we invite you to join us. Just as this column endeavours to show you Oklahoma, Travelokcity will also encourage Oklahoma to see the world beyond, the world that I’ve seen so far and the many wonders it offers. If you have a minute or two to spare every Saturday, come travel with me. You won’t need a passport, only the wonder and curiosity of a child.